It actually gets into some serious linguistic issues. 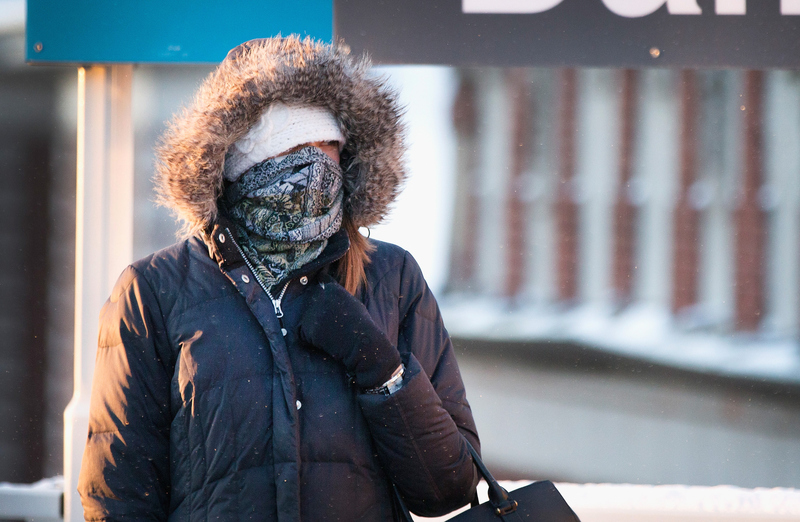 “A woman tries to stay warm as she waits on an L platform in Chicago . . . “ The L – sans punctuation, lone capital letter – is not how Chicagoans refer to their train system. The Chicago Transportation Authority insists that it’s ‘L’ (single quotations marks, or inverted commas for you Brits). The scare quotes probably were originally meant to indicate “slang” usage, and probably originated when the vast majority of the system was elevated (now 2/3 of it is at or below grade, including lines down the medians of expressways). But this official usage is contested. Many great Chicago authors, including Nelson Algren, write El – short, obviously, for Elevated, sans punctuation. Like the T in Boston. I have worked on a number of books and other publishing projects where this conflicted usage has mattered, so I thought I’d share this Chicago minutia with the Dish’s discerning audience. So it’s the El I take: to L with all other versions.